"One of the best books I've read. I absolutely LOVED it!!!! 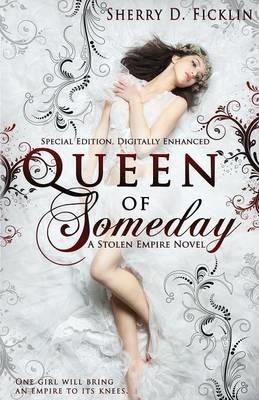 Queen of Someday is a brilliantly told story filled with romance, action, and intrigue. I absolutely adore the main character, Princess Sophie, who is fiercely intelligent and witty (think Katniss or Tris, only in a ball gown). When Sophie faces the brutal Russian Court, she quickly discovers that danger lurks at every corner and no one can be trusted. Sherry D. Ficklin has outdone herself in this heart-pounding story that will leave you breathless and clamoring for more." Jennifer Davis, author of The Key--Sherry Ficklin "Jennifer Davis, author of The Key "